It’s important that we make a distinction here between monthly ductless costs that are high because you’re using the system more often, and costs that are high for no apparent reason. If your monthly operating costs appear to be rising for no apparent reason, it might be because your system has too much wear and tear on it. This is more common with older ductless systems, which have lots of wear on their various parts from years of use. As the wear and tear causes the efficiency of the system to decline, it’s forced to operate for longer and longer periods of time in order to compensate. This is what causes the monthly operating costs to rise. If that’s the case with your ductless system, the only way to fix it is to replace it. Every ductless system needs repairs every once in a while. However, the closer to the end of its life a ductless system gets, the more wear it has on its various parts. This wear will cause the various parts of the system to break down more often, resulting in more frequent repair needs. If you need to repair your ductless mini split multiple times a year, it’s a good sign that you need to replace it with a new one. As it stands, you’re replacing your system one piece at a time anyway. It’ll be more cost effective in the long run to install another system. Even with frequent professional care, a ductless system won’t last longer than around 10-15 years before developing serious issues. 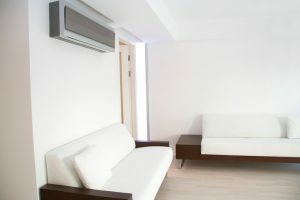 You can keep an old ductless system operating past that point, if you want to spend the money on it and you don’t mind the frustration of dealing with constant breakdowns. For most people, though, cost-effectiveness trumps sentimentality. A ductless system that is older than 15 years will frequently begin to develop problems like those listed above, along with a host of other issues that negatively impact its efficiency. The longer the system is operating without being replaced, the more its efficiency will drop and the more it will cost to keep up and running. If your ductless system is older than 15 years, consult with a professional about whether or not you should replace it. Douglas Cooling & Heating offers comprehensive ductless services throughout Jefferson County, AL. Contact us today to schedule an appointment with one of our experts.